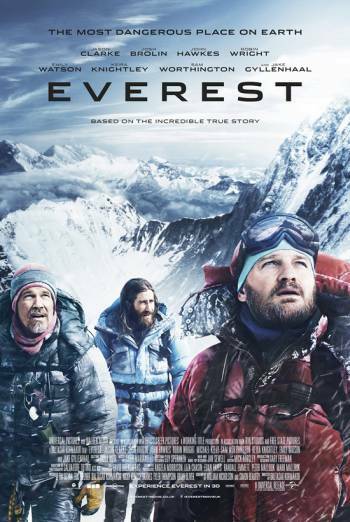 Summary EVEREST is a drama about a group of expeditionaries who attempt to climb Mount Everest. EVEREST is a dramatic reconstruction of the 1996 Mount Everest disaster. There are scenes of moderate threat when characters struggle to safely descend the mountain. Frozen bodies are seen lying in snow, and a man has a badly frostbitten nose and hand with blood briefly visible on his face and arms. There are some upsetting scenes when characters talk to their loved ones, not knowing whether they'll see them again.